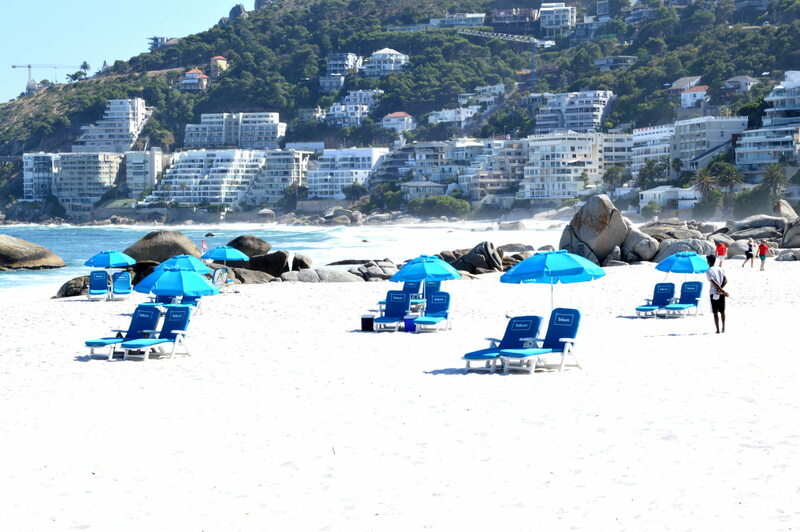 Clifton is included in our list of the best beaches in the world and in many other such lists too. It is by far the best beach you'll find in any city... and we've visited lots of city beaches in the USA, Europe, South America and Asia too. None came close to Clifton. It is actually four beaches separated by rocks and each one has its own entirely different "character". 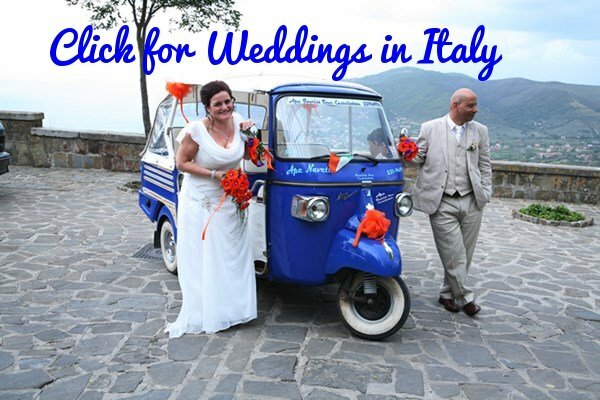 Find the one for you in our Clifton Beach Guide. 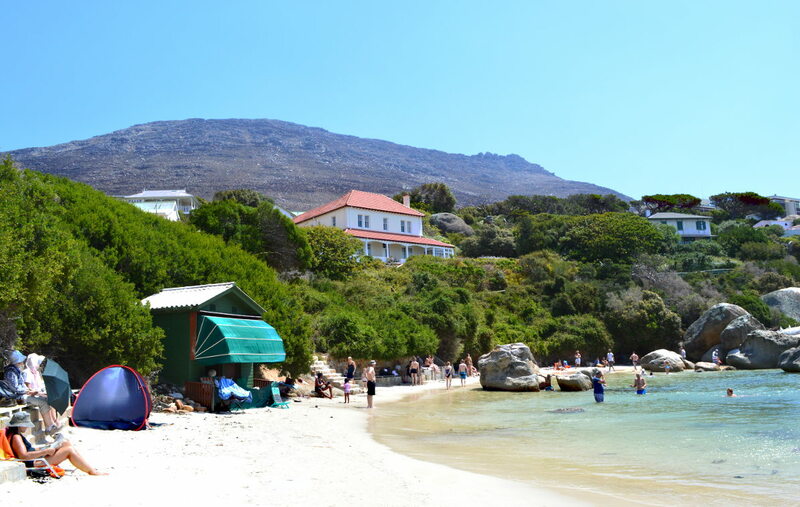 Pretty much as lovely as Clifton and only five minutes down the road is Camps Bay Beach. Lots of people try to look beautiful on this very trendy beach - but fail miserably when compared to the gorgeous scenery. The twelve mountains behind the beach, known as the Twelve Apostles, are always there to keep an eye on things and stand sternly in judgement of the frivolity on the sands in front of them. 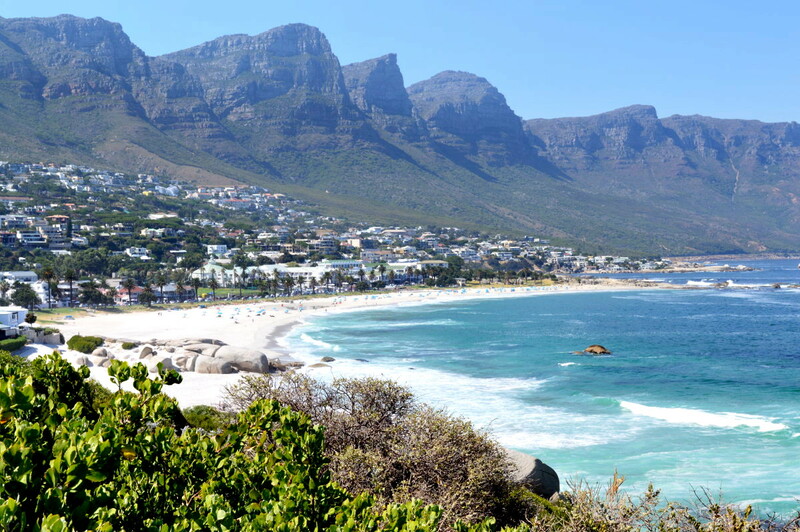 Visit our Camps Bay Beach guide for all the essentials. 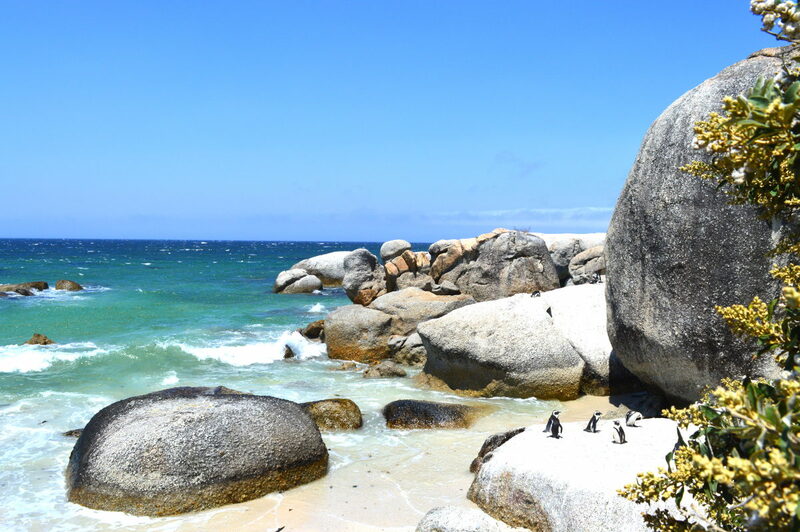 A little outside of Cape Town is a beach filled with penguins. Well one side of the beach is the penguin side while the other section is the people side but, with only a few big rocks separating the two sides, the penguins often mount invasions of the human side of the beach - stealing anything bright and shiny or just watching the strange behaviour of the human race. Hardly any waves, and the warmest waters of any of our beaches, makes this beach by far the best choice for small children. Here's more. 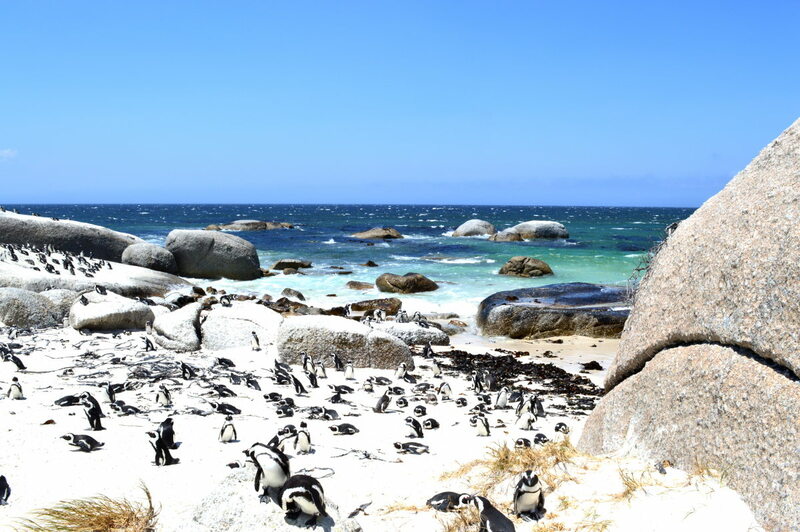 Penguins plan their invasion of the "human" beach next-door. The beach with the most beautiful views of Table Mountain and Robben Island (the prison island where Nelson Mandela was incarcerated). Even during the height of summer this beach is never overcrowded. 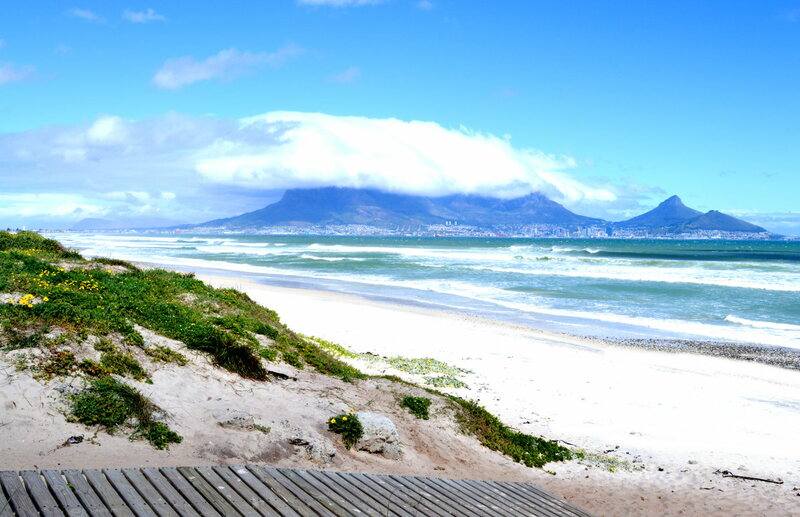 Of all the beaches listed here Big Bay is the one most popular with surfers and kitesurfers. 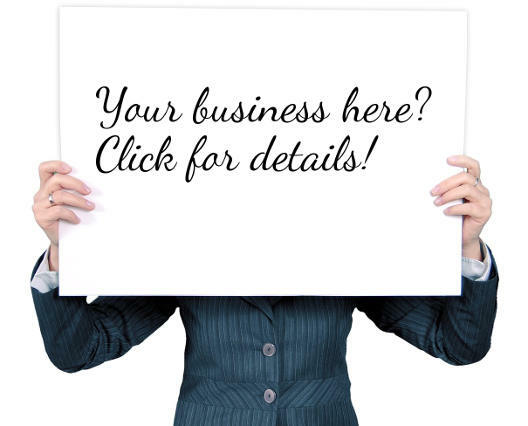 Click for more on this wonderful beach. 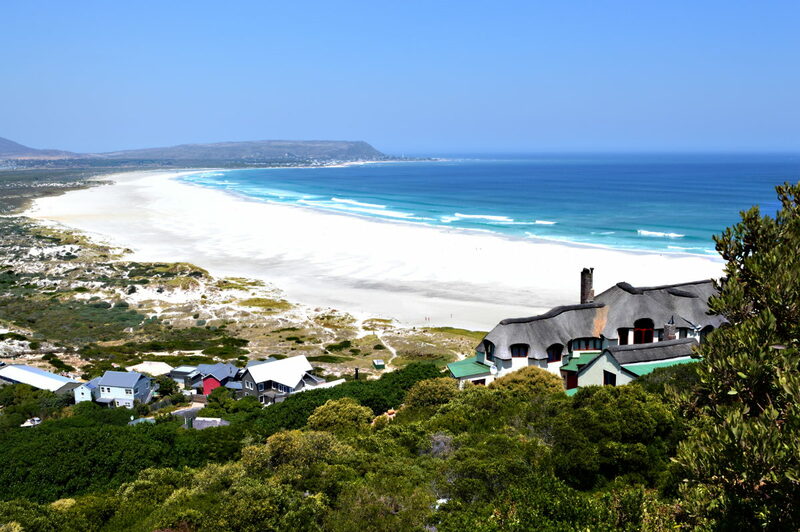 Along one of the world's greatest ocean drives is Noordhoek, where endless beach, sky and ocean meet. The water may be freezing cold but the huge beach is unbelievably spectacular. Anyway, after hours in the hot sun, a plunge into the icy blue ocean is super refreshing.